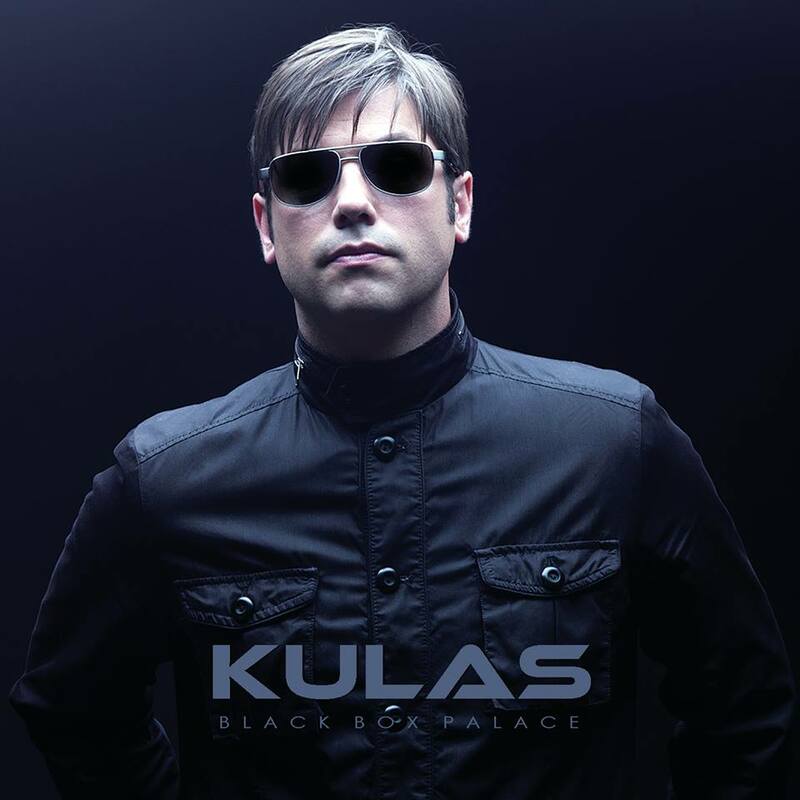 The Black Box Palace EP is Michael Kulas' first new release for almost a decade. The ex-member of James has forged a successful career as a producer and as a composer, but the Black Box Palace EP sees him return to his rock and roll roots with five new songs that show his creative juices in this field are far from drained. Lead track Protection is a song that rails against the threats to our society today. Mid-song Kulas sings of "Paranormal, paranoid, big brother, peak oil, global warming, heart disease, taxes, pills and six degrees of separation, racism, wiretapping every nation, I don’t need a prescription, I just need some salvation" and his message is clear. He's found a trio of musicians - Chris Sytnyk of MADE on bass, Derek James of WHY on drums and Ryan Jenkins on lead guitar - that work perfectly with his forthright, meticulously constructed take on rock music. There's no attempts at being too clever anywhere on the EP and this works to its advantage as the music has a natural warmth to it that's in keeping with Kulas' personality. It's full of insistent riffs and big choruses and makes no apologies for it. Last Chance starts with a bold guitar riff and some clever use of reverb on Kulas' voice as the song builds to its chorus. It's a song full of positivity, looking over a relationship and telling the song's subject matter that it's something worth fighting for. The music simply accentuates the impact of the words as it lifts the listener. However, that mood is dampened by Nowhere Left To Run, not that you could tell by the music alone particularly in the breakdown, but as Kulas sings "You can tell me it’s alright. But the damage, that's been done. There's a hundred miles between us now. And there's nowhere left to run" it's clear that this isn't a song with a happy ending. Strangers In Love is a song that was briefly previewed on Soundcloud and our favourite of the songs here and probably our favourite from his entire solo career. Unashamedly pop in its chorus - "oh I know life's what you make it, why's it all complicated" - and with a hook line that you'll struggle to shift from your head, it's one of those rare songs you could listen to over and over again and never tire of it. It's brilliance is in its absolute refusal to be anything over than a great traditional rock and roll song. The final track is equally impressive. White Noise trades in the same straight rock and roll currency as the rest of the EP, starting with a riff that announces it to the world and a chorus that you'll find yourself singing along to the second time you listen to it - "White noise every time I close my eyes. White noise keeping me awake at night. And I try and I try but I can’t stop the sound. You can turn the dial but you’ll never tune it out." Black Box Palace EP is a welcome and very overdue return for Kulas. He seems to have found a band with which he's found a natural affinity and way of working and the result of this is an impressive five-track record that aims straight for the listener's primary senses and is a triumph in every respect. Kulas' official website can be found here where tracks from the EP can be heard. He is also on Facebook and Twitter as well as Soundcloud where you can find a selection of tracks from his previous albums and EPs.